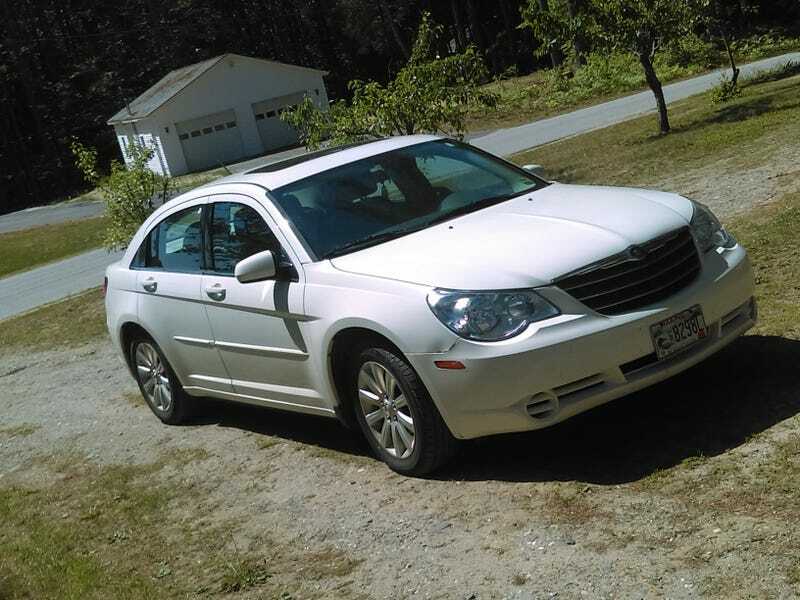 2010 Chrysler Sebring Limited. 2.6L V6 auto, leather, sunroof and power everything. She got it for stupid cheap because it was on the dealer’s lot for a year and they wanted it gone. This is my ride while I line up funds and wait for Forest’s engine transplant. Bonus pic of Forest being loaded on the flat bed.